to support your worship ministry in one convenient location, always accessible online. Spend less time on repetitive tasks so you can give more to the creative aspects of ministry. By working online, you can easily collaborate with others to complete your worship plan. Our subscriptions allow for multiple account users. Once you create a worship plan that works well for your church, you can save it for reuse. Updating a saved worship plan can be done in a matter of minutes and is convenient for planning multiple services. 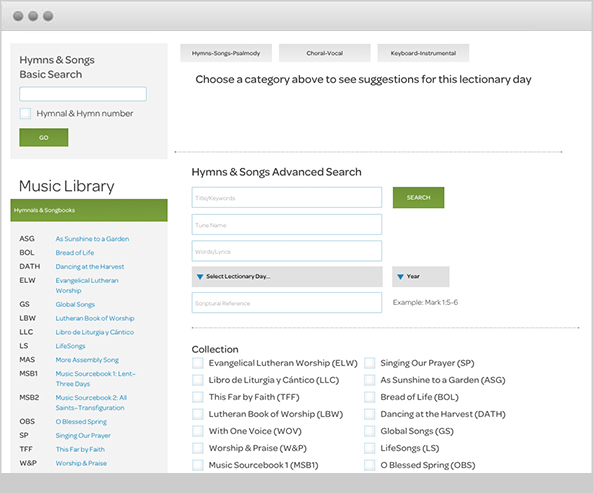 Subscribers to both sundaysandseasons.com Deluxe and Prelude Music Planner on the same account can edit worship plans within either program. When you know what you need, get directly to the digital content you want. Delve into the library to research a concept, get a fresh perspective, or ignite a new idea. Broaden your worship planning and access even more rich content sets. 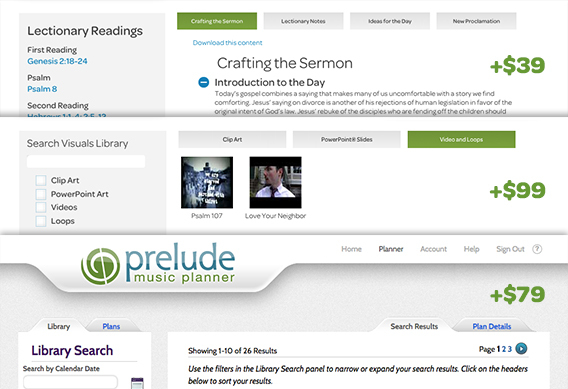 Prelude Music Planner, available with a separate subscription, is an online tool that makes planning music for worship easy and efficient. Subscribe to both sundaysandseasons.com Deluxe and Prelude Music Planner with the same account to enjoy integration between these planning tools. 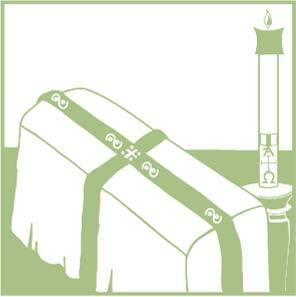 Get everything you need to celebrate an occasional service, special blessing, or seasonal rite. Sundays and Seasons isn’t just helpful for regular weekly worship—it provides the freedom and flexibility to plan for special services and occasions. 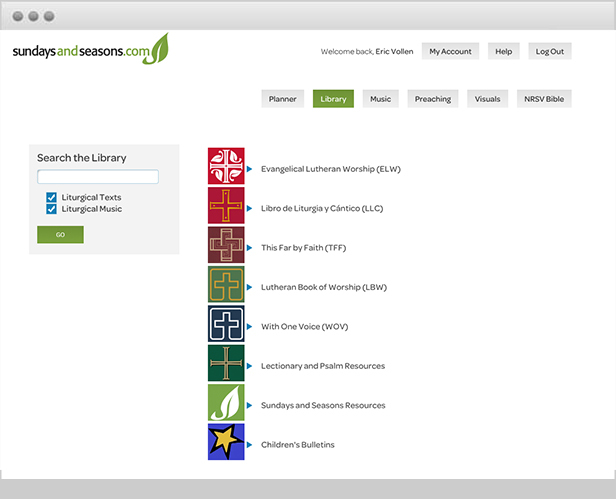 Get online access to liturgies, liturgical music, lectionary texts, prayers, artwork, children’s bulletins, plus the ability to download hymns and songs. Also includes an Augsburg Fortress Liturgies License, which provides permission to reproduce (print or project) Augsburg Fortress liturgy texts or service music at your church. Prelude Music Planner also integrates with the Deluxe Subscription. Note: Separate licensing is required to print or project all copyrighted hymn content (including Augsburg Fortress) as well as copyrighted service music from publishers other than Augsburg Fortress. We recommend that you secure one or more multi-publisher hymn and song licenses (OneLicense, CCLI) depending on your needs. These are not included in the Deluxe subscription. Includes everything in the Deluxe Subscription, except the ability to download hymns and songs. Preaching and Worship Videos modules and integration with Prelude Music Planner are not available at the Standard Subscription level. Individual subscriptions may be purchased at the 1-49 subscription price. An individual subscription is offered for the use of the subscribing individual only, including use at locations where this individual is serving on a one-time basis. Downloaded content cannot be shared or given to any other individuals, churches, or organizations for repeated use. If you are a multi-point parish or a campus ministry site, contact us to discuss subscription options. 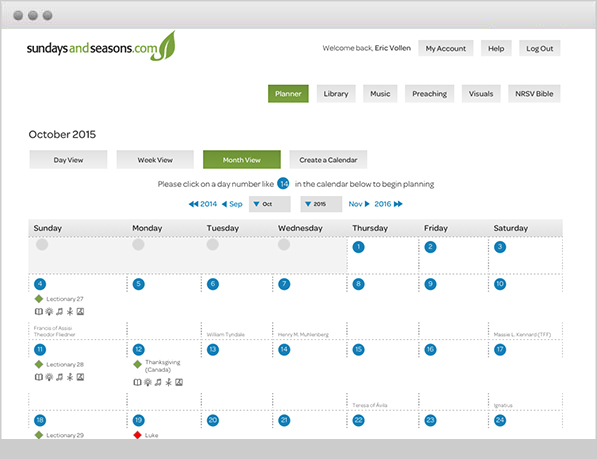 try Sundays and Seasons free for 14 days. Copyright © 2018 Augsburg Fortress. All rights reserved.